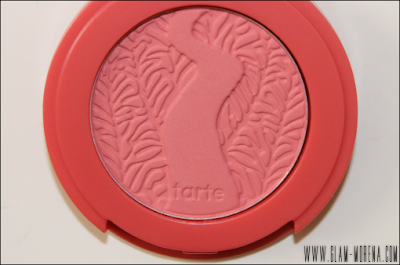 Glam Morena: Tarte Fantastic Foursome Blush Enthusiast Set. Tarte Fantastic Foursome Blush Enthusiast Set. One of the best things about the holiday season are the limited edition makeup sets. 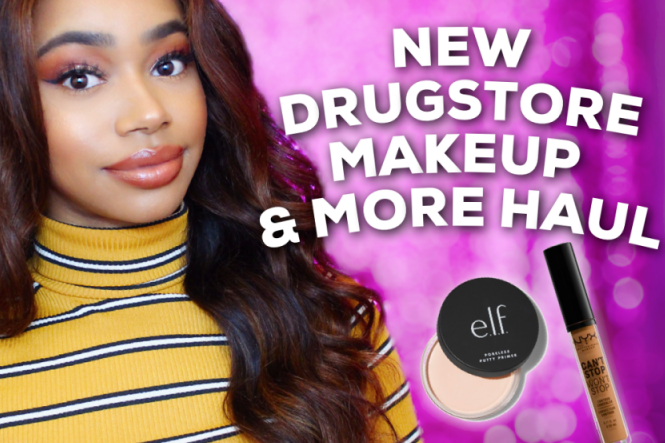 It's the perfect time to try out brands and products because there are some amazing value sets released during this time. 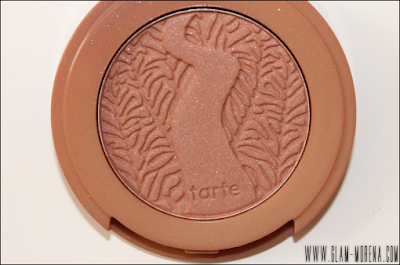 From the Tarte Holiday 2012 Collection I purchased the Tarte Fantastic Foursome Amazonian Clay 12-hour Blush Enthusiast Set. 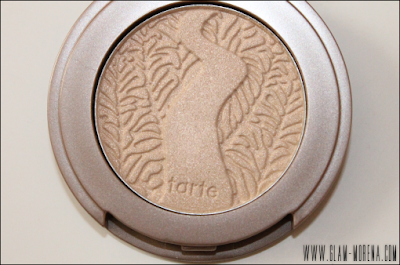 This was such a great deal and I've been wanting to try more Tarte Amazonian Clay 12-Hour Blushes. Perfect purchase! 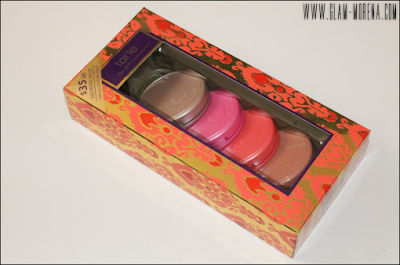 Description: A four-piece blush set featuring tarte’s bestselling formula in universally flattering shades. What it does: Deliver the perfect flush of irresistible color to your cheeks with this collection of dazzling formulas. Each nutrient-rich shade is infused with Amazonian clay for 12 hours of clinically proven, fade-free wear time and mineral pigments to soothe and soften skin. The array of enchanting hues will suit every occasion, outfit, and mood with the perfect flush of pretty. This set includes: Angelic, Fantastic, Magic, Stellar. 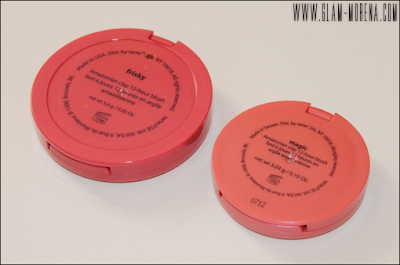 This is a size comparison of a full-sized blush to the ones included in the set. It's about half the size. The packaging is the same, minus the mirror. 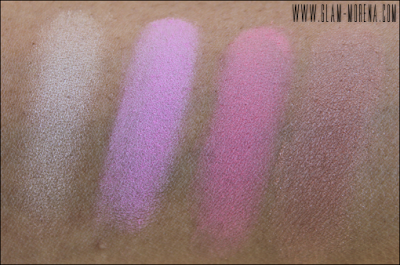 Swatches of the Fantastic Foursome Amazonian Clay 12-hour Blush Enthusiast Set. This set is no longer available at Sephora, but it is still available here. 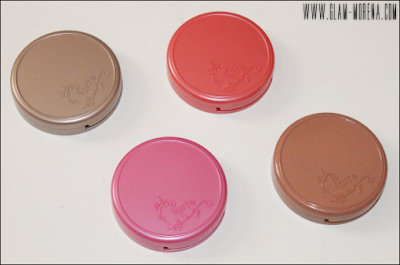 Did you purchase the Fantastic Foursome Blush Enthusiast Set? Thoughts? Favorites? Gorgeous set. 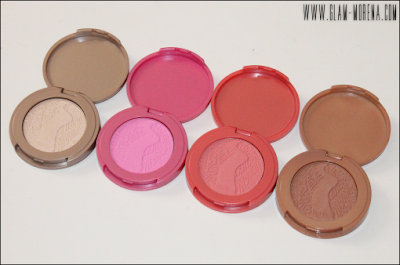 These blushes look so pretty.